Lower the costs of lighting - inside & out. Improve employee productivity with a modern lighting system. 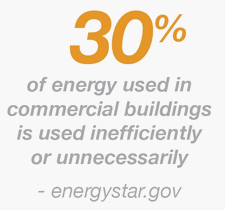 Reduce your energy usage and lower operating expenses. Increase your property’s value while lowering your expenses. Create a more inviting environment for your guests. Provide a better learning experience for students and faculty. Qualify for Federal tax credits and utility incentives. Licensed Electrical Contractor Specializing in LED Lighting Design and Consulting. Illume Energy Solutions is an electrical contracting company that delivers energy management solutions and energy-efficient lighting systems for commercial, industrial, institutional and government clients. We utilize the latest energy saving controls and lighting systems, including LED technology, that balance energy savings with costs to save money for your company or organization. With more than 30 years of experience, we have completed projects for clients across the country and in the Caribbean. We design, upgrade, retrofit and install safe, energy-efficient lighting systems, for both inside and outside your facility. Our installations are custom-designed turnkey solutions that meet your business and financial goals and budget requirements.. The payback period for an Illume Energy Solutions’ project can be as few as two years. While your ROI is measured on the bottom-line, a lighting retrofit adds value to your organization. Not only do you benefit from the investment in upgrading your facility, but also from the image you convey to your employees, tenants, customers and the public. A modern lighting system is the most cost effective way of improving the security of your building and inviting people to your facility. Illume Energy Solutions is committed to providing you with energy-efficient lighting systems, state-of-the-art energy conservation solutions and the finest customer service in our industry. The first visible-spectrum LED was invented in 1962 by Nick Holonyak, Jr. at GE. The solid-state technology of LEDs make them well suited for advanced control systems and networked ‘smart’ buildings. Section 179D of the Federal Tax Code provides a tax deduction for energy improvements including lighting.